Gina is showing off the transformation of her craft studio and she just shared the new fabric scrap curtains she hung on a DIY branch curtain rod. Not only did she dress up her studio, she used up some of the fabric scraps that were taking up space. This is such a fun idea for her studio, but would look so cute in your little girls room or a nursery too. 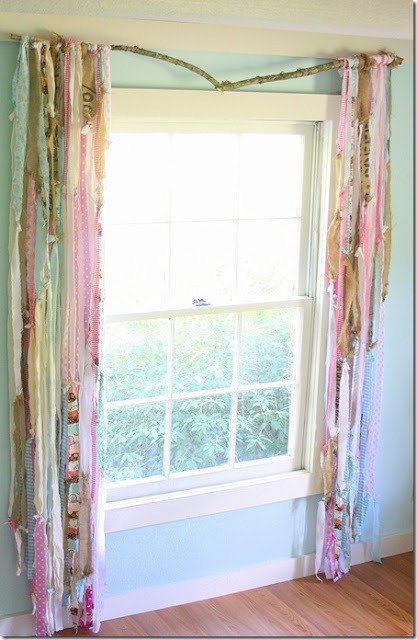 You can check out her new scrap fabric window treatment, and more amazing pictures of her new studio, over at The Shabby Creek Cottage.